This year was COLD!!! I can't begin to stress this enough! went to -5° Defintely the coldest we have slept out! I have to say everyone did great! 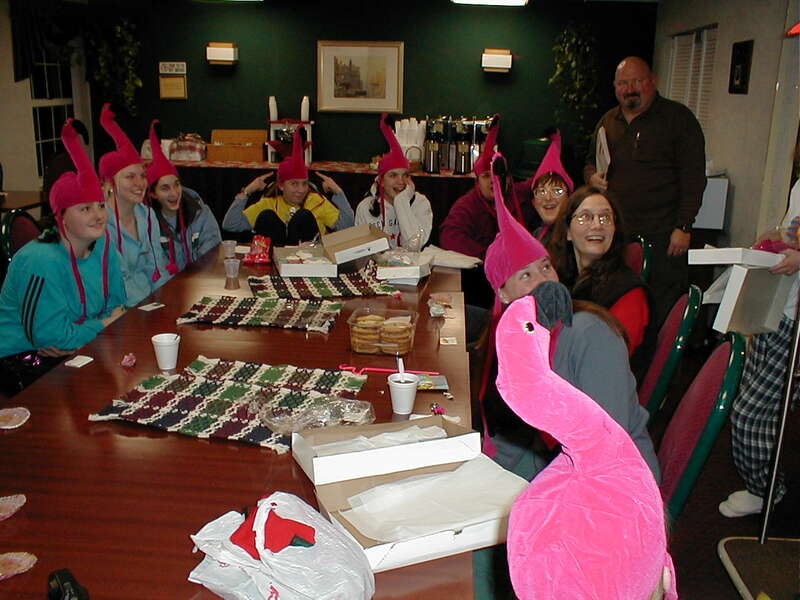 GO Flamingos! 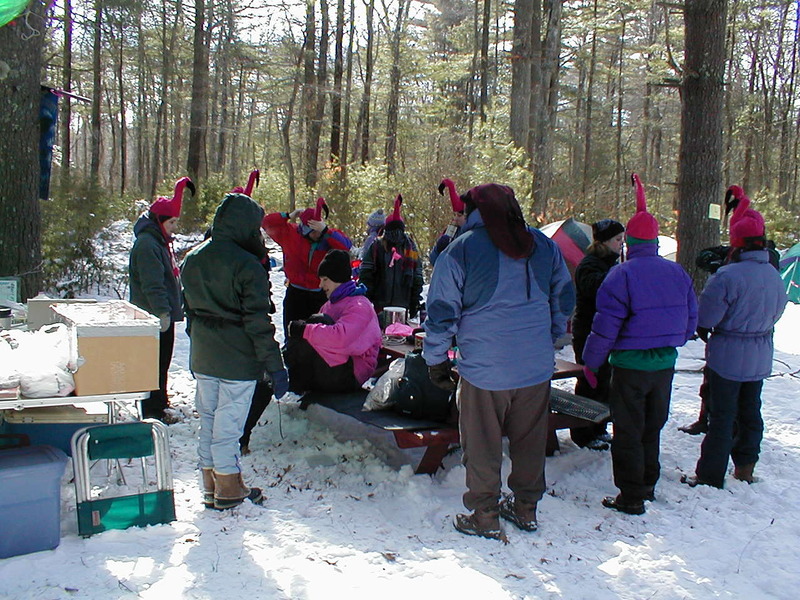 Snowflake is a winter camping competition for Cadette and Senior Girl Scouts held in February in Acushnet MA. The Outdoor Group has been attending this event for the past 12 years. First as troop 372 out of Bloomfield CT, then as troop 179, and now as the Outdoor Group 7817. This event has always been a great experience and turns out patrols that can really work together as a team! Out of the 12 years this troop has been competing, we have placed in the top two troops for our division 9 times! Plus in 1995 Senior Patrol Goldilocks and the Seven Dwarfs became the 2nd Senior Patrol to make Grand Champion! We hope that yet again one of our patrols will be able to achieve this feat and win three years consecutively!!! Some of the events that take place at Snow Flake are: Flagpole Lash, Travois, Fire Burning, Compass, Constellations, 3 Inspections, Dog Sledge race, Wood Sawing, Surprise, Snow Shoes, Patrol Flag and the Desert competition. To place well in these events, not only do the girls need to be technically capable but work as a unit as well. We have found this event to be one of the biggest challenges to team work and the girls respond very well to it! 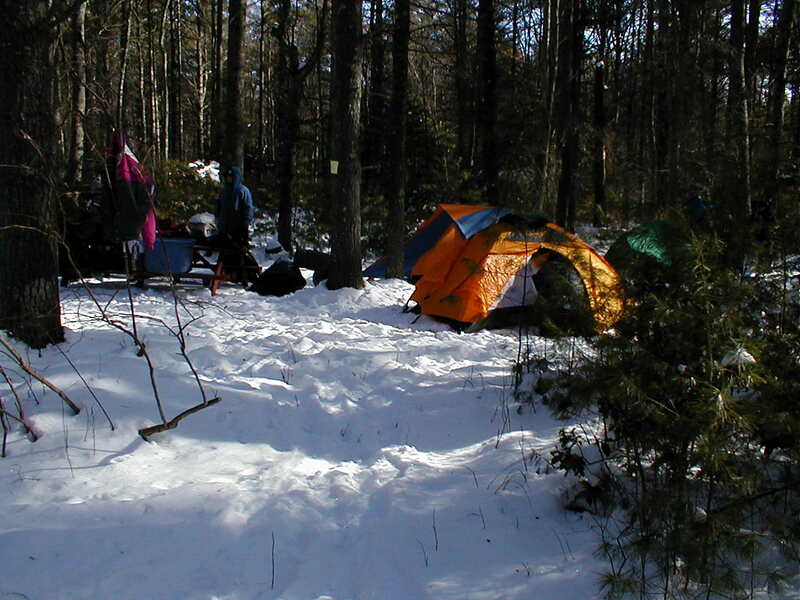 For the 13th year consecutively the Connecticut outdoor group will be headed to Acushnet Massachusetts for the Girl Scout winter Competition! We will be going as a Senior Patrol and hope to live up to the Patrols that have come before us! Jeeze that Goldilocks and her dwarves really put the pressure on! But we are up to it and hope to have a good showing! We are already practicing our skills...Definitely not resting on our laurels! Can't wait to see everyone! 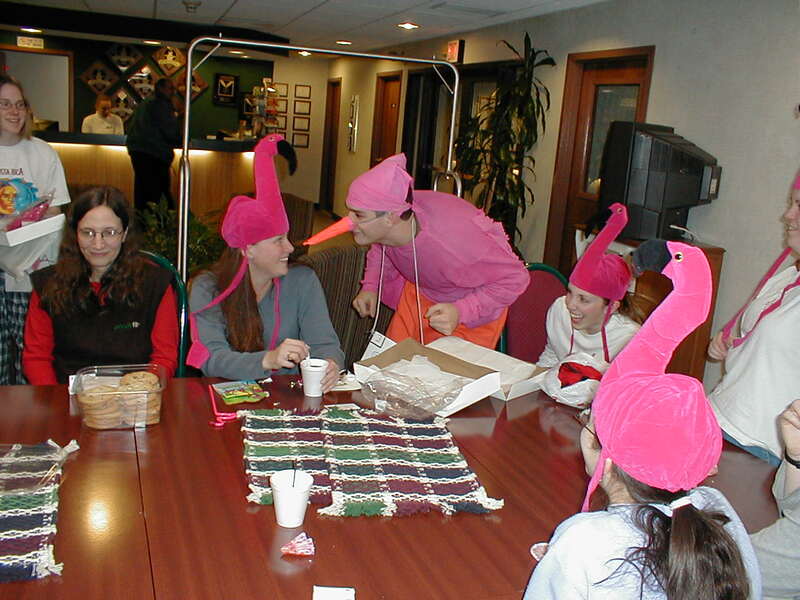 The Flosck helping our Flamingo get in to his costume. Well We lived through Snowflake for yet another year!!! 2003 found us competing as a Senior Patrol. We came in as the 6th top troop overall! Thanks to every crazy adult that helped us get there and put up with us in the cold! And let me tell you it was cold this year!!!! Here is the group at the bonfire that we had going day and night!! Hey it was COLD! The begining of yet another winning dog sled race! And off they go!! Move Flamingoes MOVE! Ashley and this years winning fire! Alyss and Ashley dragging Jackie along on their winning Travois! Notice Jackie is perched on only one leg...wouldn't want to drop one of the knots!!! At the Flag Lash competition..that's Lisa lashing! One side closing ceremonies....those hats stood out that's for sure!